See Your Tire Savings Live! 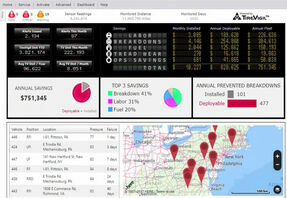 TireVigil Cloud's Savings Dashboard measures savings from mining your tire data and changes tire maintenance forever! See how we do it. View the video link below for a real-time example of this technology in action. Fleets love the tire’s advanced time-to-failure notifications while at the same time operating more efficiently. To get this vital information, contact us.